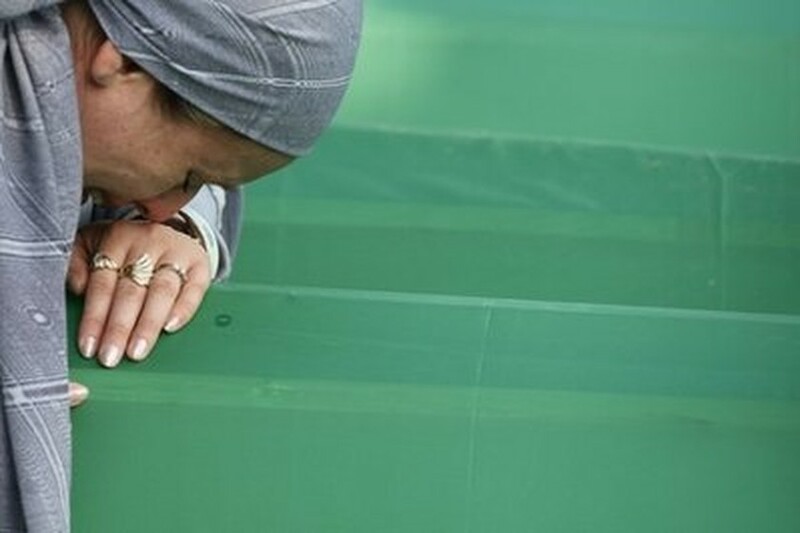 Hoisting hundreds of coffins aloft, a line of weeping relatives stretched for at least a mile (1.6 kilometers) Sunday as they honored Srebrenica massacre victims on the 15th anniversary of the worst atrocity in Europe since World War II. "I grew up without a father and I don't even remember him," said 16-year-old Hajro Ibrahimovic. When the procession reached the hill, some 60,000 people splintered into rivulets as relatives sought the exact grave for their loved ones. The sound of dirt pounding against the coffins' wooden lids echoed over the valley, as two announcers, one male and one female, solemnly read out the names of the victims being buried. On that fateful day in 1995, some 30,000 Bosnian Muslims had flocked to the U.N. military base in the town's suburb of Potocari for refuge. But when Serb forces came, they forced outnumbered Dutch peacekeepers to open the gates. The Serbs then separated out the Muslim men and boys, putting them on trucks and carting them away, the vast majority never to be seen again. The Dutch peacekeepers lived. Andrew Gilmour, the special representative of Secretary-General Ban Ki-moon in neighboring Serbia, represented the U.N. at the event, and other U.N. Officials also attended, said Nick Birnback, spokesman for the U.N. Peacekeeping department. Ban plans to reaffirm the United Nations' sorrow over what took place in Srebrenica at a commemorative event Monday, a spokesman said. Before the funeral, Muslim prayers and weeping mixed with the speeches of dignitaries condemning the crimes and calling for the perpetrators to be punished — something victims' families noted would not change the suffering they have endured. Serb ambushes were set mainly next to creeks, he recalled, "like when you hunt animals, you wait next to water holes." "Some of those I saw lying by the water I now see in coffins," he said. Serbian President Boris Tadic was the first dignitary to arrive Sunday, saying he was coming in an "act of reconciliation." Some in the crowd yelled "Bravo, Boris!" while others asked "Where is Mladic?" — a reference to former Bosnian Serb general Ratko Mladic, who led the Serb troops into Srebrenica. "I wish to welcome you, we are receiving you in peace," Kada Hotic, a representative of the Srebrenica widows, told Tadic while he held her hands. Tadic said he "will do everything" to apprehend all war crimes suspects in Serbia. Other guests included Turkish Prime Minister Recep Tayyip Erdogan, Slovenian President Danilo Tuerk, Montenegrin President Filip Vujanovic, Austrian diplomat and Bosnia's administrator, Valentin Inzko, French Foreign Minister Bernard Kouchner and representatives of the European Union. The U.S. ambassador to Bosnia, Charles English, read a message from President Barack Obama that urged "governments to redouble their efforts" and arrest those responsible for the war crimes at Srebrenica. Obama called the Srebrenica genocide a "stain on our collective consciousness" that occurred even after decades of pledges of "never again" after Nazi atrocities during World War II. The Bosnian Serbs were represented at the ceremony by a low-level delegation, headed by the deputy president of their ministate within Bosnia. In a deliberate snub, Karadzic's Serb Democratic Party honored him Saturday at a ceremony marking the 20th anniversary of the party's founding. All but one of the victims buried Sunday were Muslims. Rudolf Hren's grave will so far be the only one marked with a Catholic cross. "They asked me if I wanted him to be buried elsewhere because this is mainly a Muslim graveyard," said his mother, Barbara Hren. "He died with them. Let him rest with them."